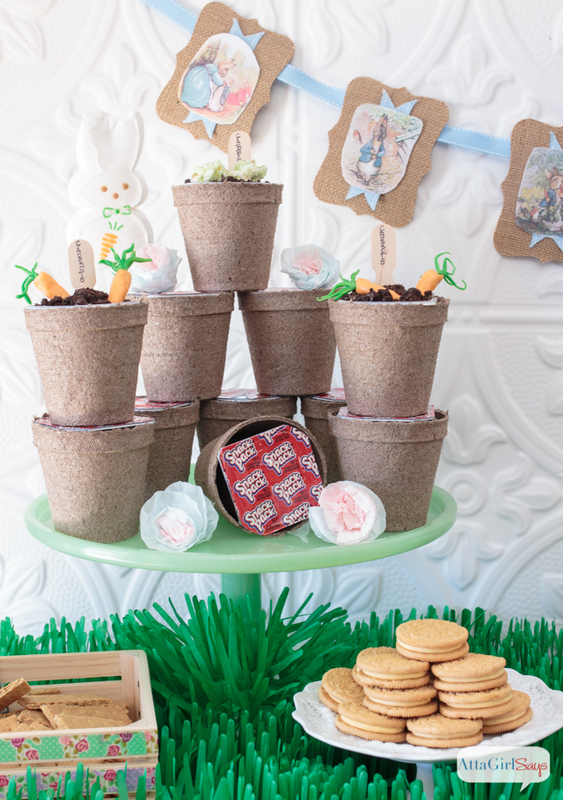 Plan a cute Peter Rabbit Easter party for the kids with all kinds of garden-themed treats. 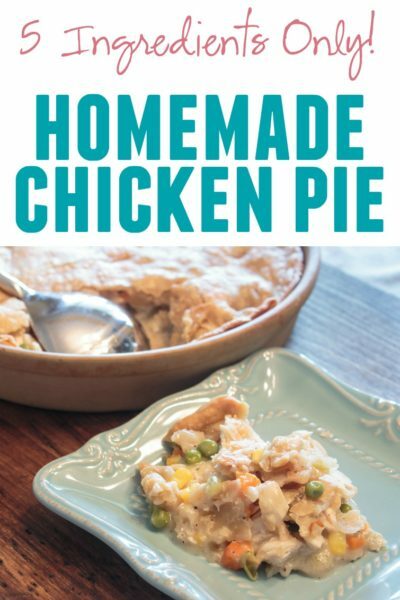 Do you remember the story of Peter Rabbit, that naughty little bunny who disobeyed his mother, snuck into Mr. McGregor’s garden and very nearly was baked into a pie? 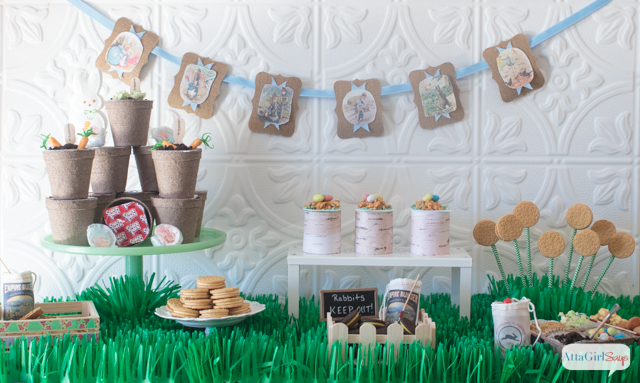 The Beatrix Potter tale is a favorite of kids and adults alike, and it inspired this yummy Easter dessert party I threw for the neighborhood kids. 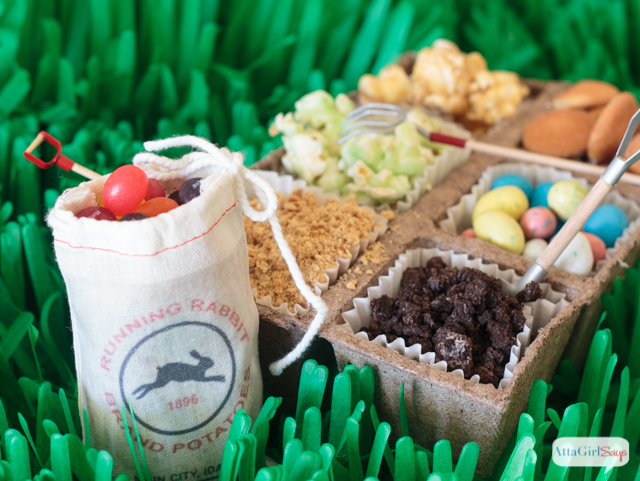 Do you see Peter there, sneaking around those Snack Pack pudding cup carrots and cabbages, hoping to snag a tasty treat? Hands off, you sneaky bunny, or Mrs. McGregor will make a pie out of you! I had such a fun time styling this party, creating the food and tending to the details to bring a beloved book to life. I started out by making a simple party banner featuring images from the book. I photocopied some of the books illustrations, cut them out and attached them to some burlap textured paper. I used blue-and-white grosgrain ribbon to accent and string the garland. I used a paper grass tablecloth (which I also used for my Minecraft party) and shopped the gardening department at my local Walmart to find other items to fit my theme. These seed starter pallets were perfect to hold a variety of mix-ins for our chocolate and vanilla pudding cups. Since the seed starters are made of peat, I lined them with cupcake liners before adding crushed Oreos, crushed Honey Maid Grahams, Crunch N’ Munch popcorn, candy bird’s eggs and jelly beans, mini Nilla wafers and green candied Orville Redenbacher’s popcorn (which looks a lot like lettuce or cabbage). 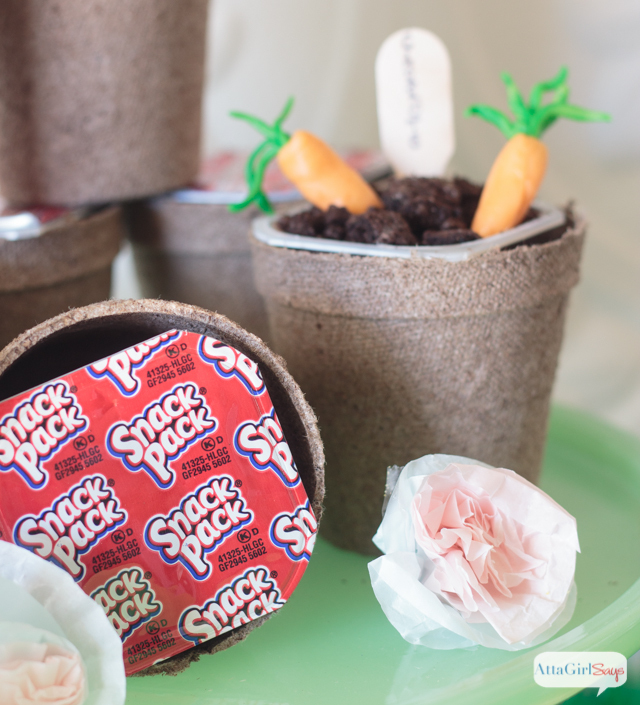 Instead of spoons, I used dollhouse mini garden tools for serving the Snack Pack mix-ins! I love the little details and special touches. The kids (and adults, too!) had so much fun planting their own edible gardens. 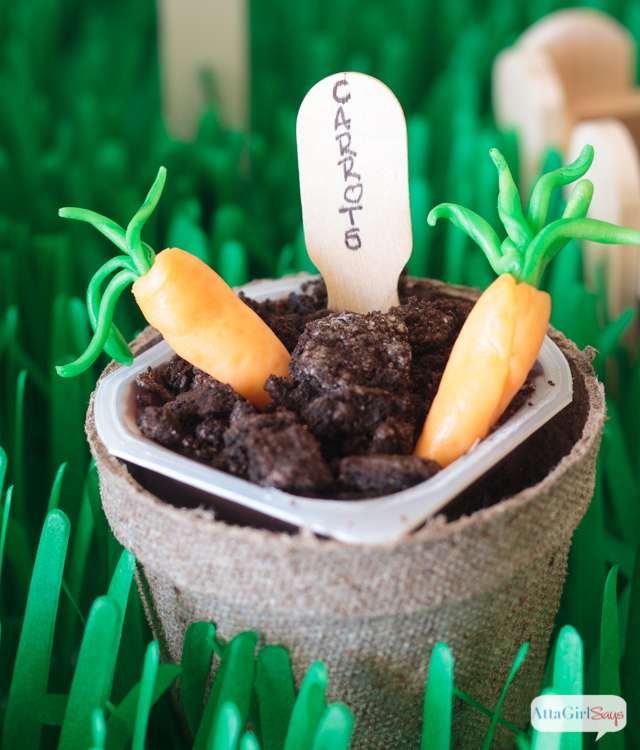 I served them in peat pots and made the garden markers out of wooden ice cream spoons. These bags were another fun detail. I found some vintage advertising images online and used them to make iron-on transfers for these little muslin bags. I filled the bags with jelly beans, crushed Oreos and crushed graham crackers — perfect “soil” for our garden. The pudding cups were definitely the star of the dessert table — and the most popular treat, too. As you may remember, Peter escapes from Mr. McGregor’s garden, but just barely. His jacket gets snagged on a gooseberry net, but some friendly sparrows help him escape. Later, Mr. McGregor winds up hanging Peter Rabbit’s jacket on a scarecrow to frighten the blackbirds from his garden. Since birds are part of the tale of Peter Rabbit, I also served some bird’s nest pudding cups. To make these, I made sleeves for the pudding cups out of scrapbook paper that looked like birch wood. 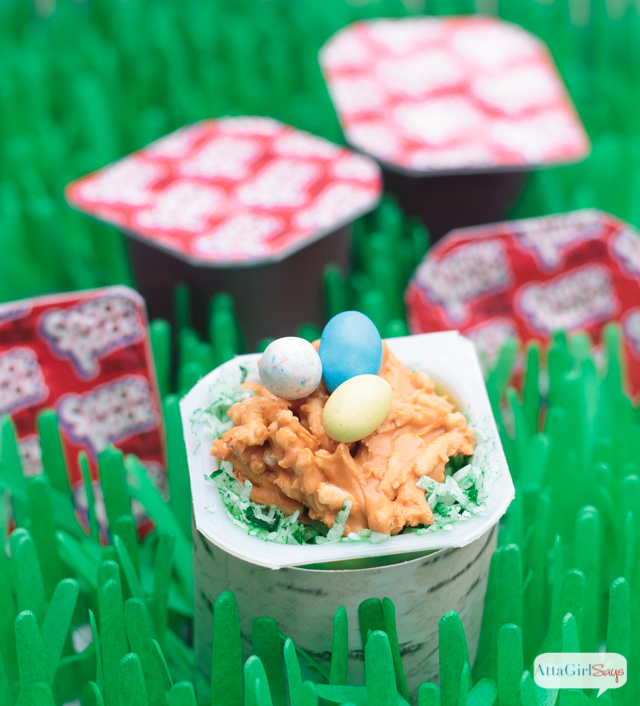 I sprinkled some green coconut (dyed using food coloring) on top of the vanilla pudding, then added a butterscotch haystack cookie and a few colorful candy eggs. I’m really pleased with how this party turned out, and how easy it was to throw together with snacks and supplies I picked up at Walmart. 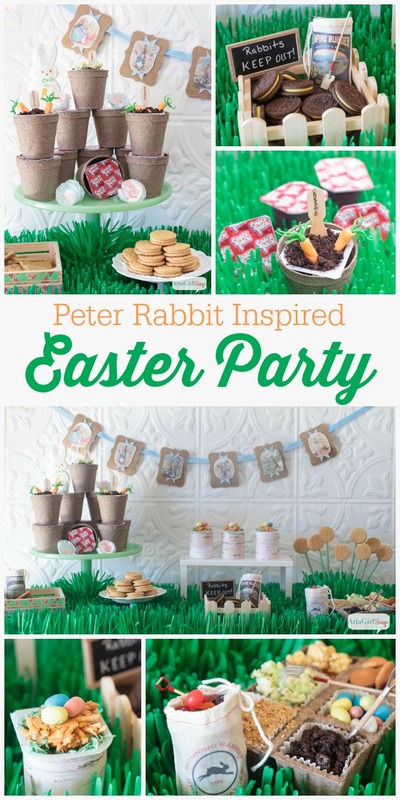 I hope this inspires you to throw your own Easter party inspired by Peter Rabbit or another favorite children’s book. I love it Amy! I had fun making carrots for mine too. 🙂 I love the peanut butter egg nests! this is such an adorable party! I love how you used supplies from the gardening dept. to go with the theme of your book! Genius! This is the cutest party theme! I am totally pinning this for future parties! You have lots of parties in your future! This is the cutest Easter party that I’ve ever seen! I have always adored Peter Rabbit. 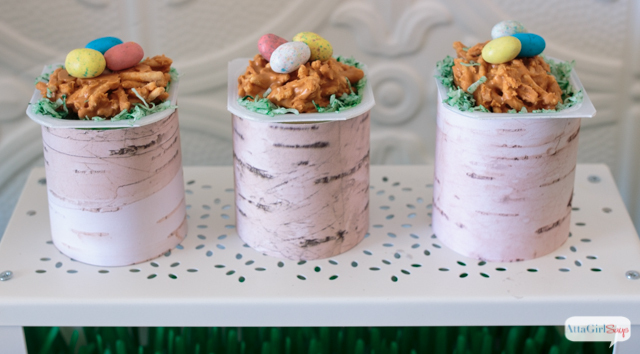 I love how you used the peat pots for serving yummy Easter snacks. Adorable Easter party! 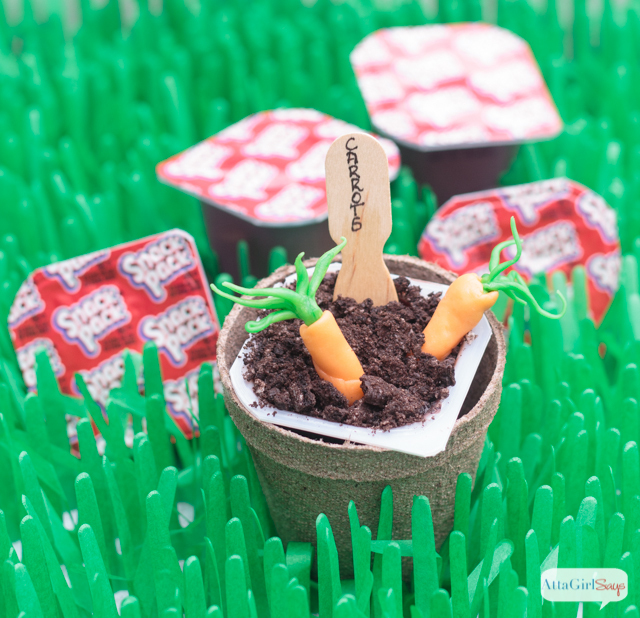 I love the little garden and mini carrots! Oh my goodness, I want to come to any of your parties! Beautiful! Super Cute! 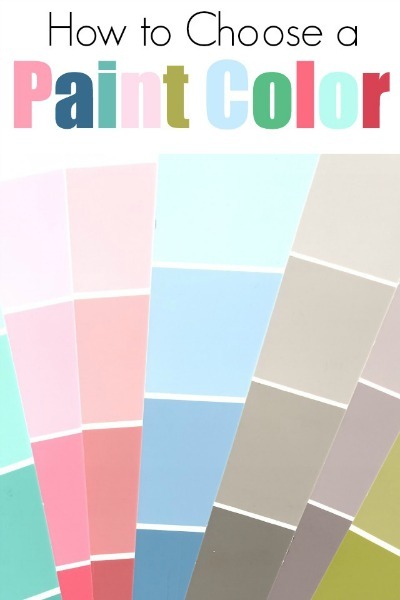 I love all of these creative, fun and fabulous ideas! This is adorable!! I love the birch paper sleeves for the pudding cups! And your pictures are stunning! SO in love with everything! Too cute! 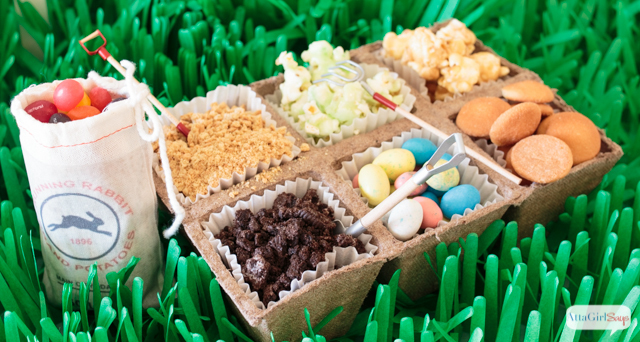 What a great idea for an Easter party. I love how you hid the containers! So adorable and fun!! Thanks for all of the ideas! That’s adorable!!! 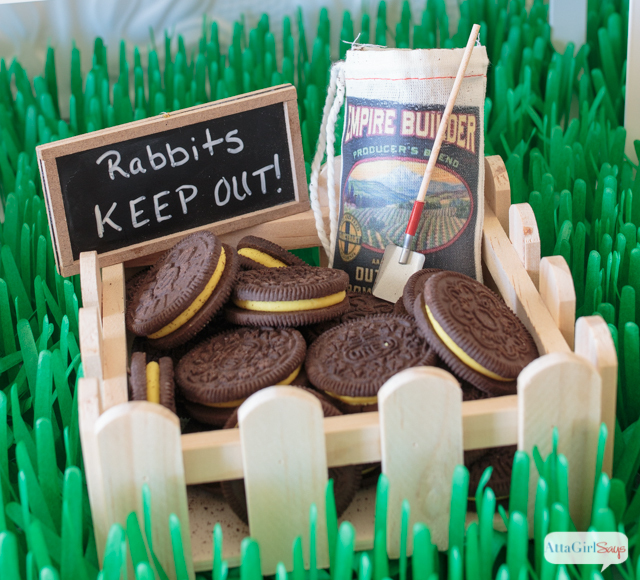 What a clever theme for an Easter party! Seriously Amy, this is AMAZING!!! You are awesome and so very talented! Thank you so much, Kaysi. You know I feel the same way about you. This party came together so well, Amy! I love all the details and that banner is adorbs! OMGGG I love it! I have a collection of Peter Rabbit music boxes that my grandmother gave me. 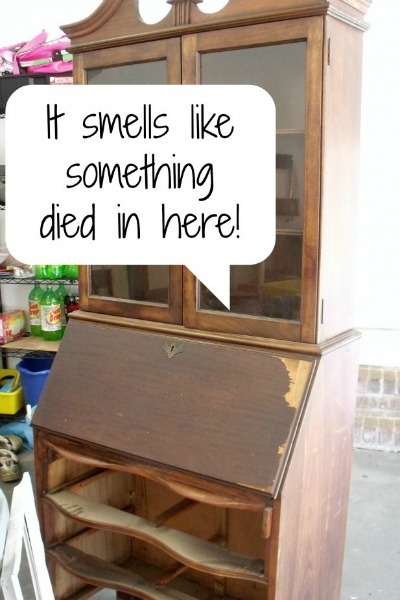 This reminds me of my grandmother! Wow! I love everything you did! Everything is simply adorable! 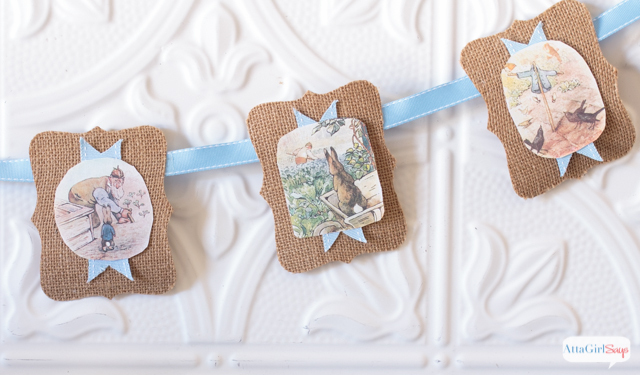 I love Peter Rabbit and this is such a sweet idea! I would love for you to share this over at my new link party Making Memories Mondays going on now! Thanks, Cathy. I will definitely link up. What a great party! Love the starter pots! Oh my goodness what a fun party!!! 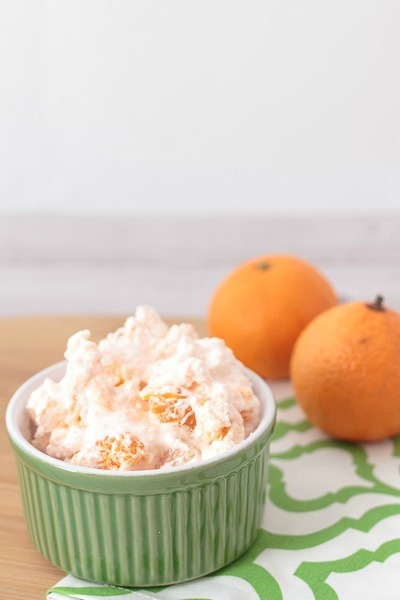 Thanks for stopping by to link and share on The Oh My Heartsie Girl WW this week!! I love Peter Rabbit. This party looks great! Cute party ideas! Love those birds nests! 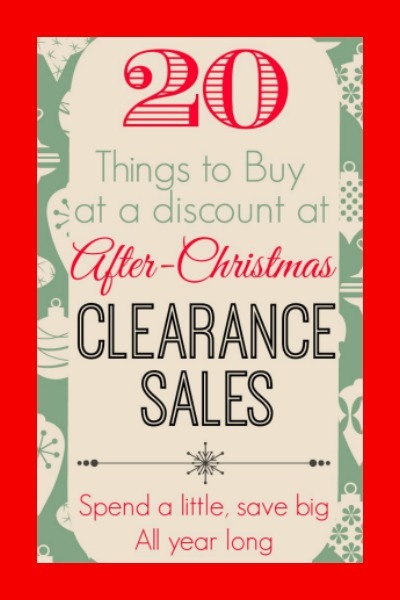 Thanks for linking this post to the #PureBlogLove link party! The party is live every Thursday at 8 p.m. and runs through the week end. i’m hosting at http://www.homemadefoodjunkie.com. Can’t wait to see more your ideas! I love the party decor. I especially love the grass. How did you make that or where did you buy it? 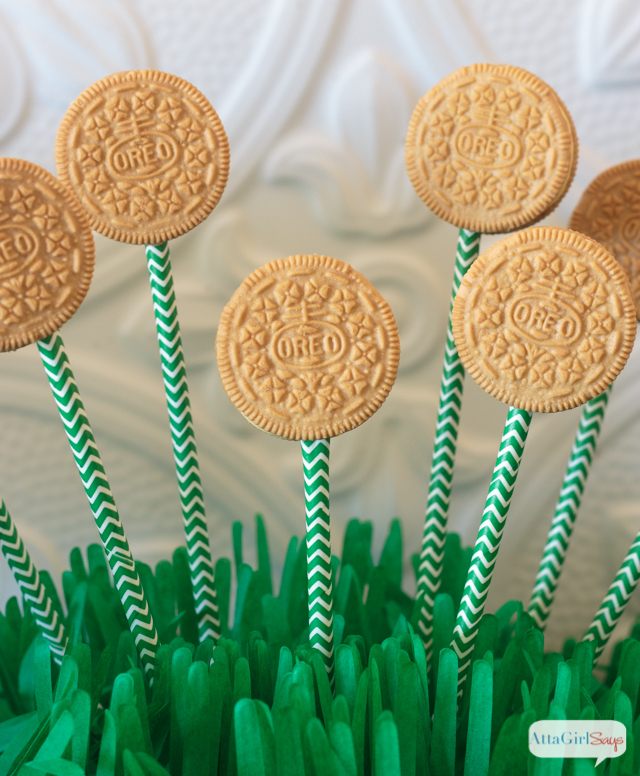 I am hosting a Easter Party this year and I would love to have some grass decorations. Thanks for sharing over at the Snickerdoodle Sunday. I got the grass tablecloth/mat from Amazon.com. Here’s a link: http://amzn.to/1EG7idy I think I used 2 mats for the easter party, but I probably could have stretched them a bit further. I also used these for a Minecraft party and covered my kitchen table with them. I think I used 4 for that. And as long as no one spills or gets them wet, you can reuse them. That’s what I did for the Peter Rabbit party. 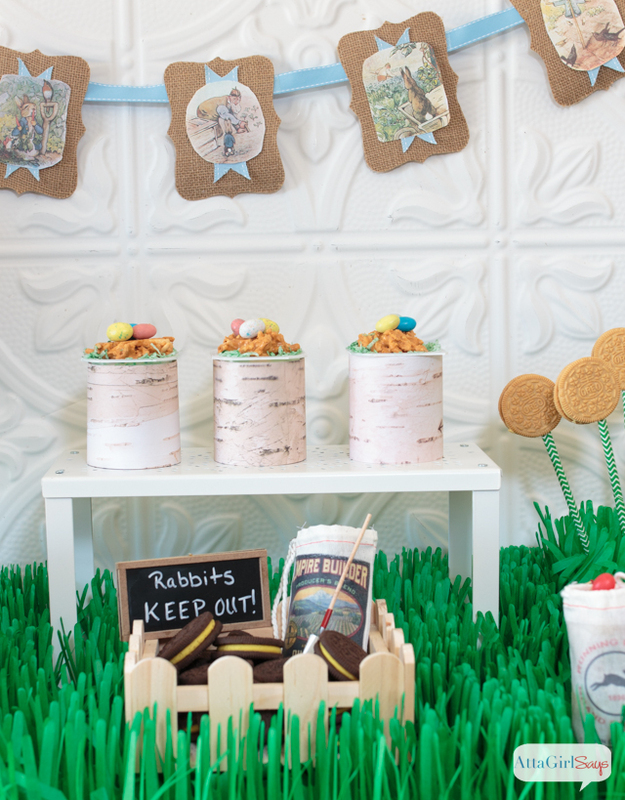 I absolutely love your Peter Rabbit themed party!!! So elegant and cute! !Featured as my favorite on the upcoming Turn It Up Tuesday!! Thank you so much for the feature! It was a pretty fun party. This is the cutest party idea! Love it. Pinned, shared…Thanks so much for sharing it at the weekly Inspiration Spotlight party! A joy to see your projects. Thank you so much for linking up with us… Featuring you on Friday! Thank you so much! 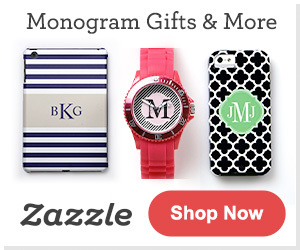 So excited to be featured! Do you have a newsletter to subscribe to? You’re too sweet to feature me! Thanks.